When you think of rabies, you probably picture an angry, growling dog foaming at the mouth and aggressively advancing on all who come near him. While the drool, the frothing mouth, and the angry disposition are an accurate representation of a typical case of rabies, there’s more that you should know. Rabies is something you DON’T want your pet to end up with. It can affect all mammals. Always fatal, rabies is a viral infection that affects your pet’s brain and central nervous system (CNS). 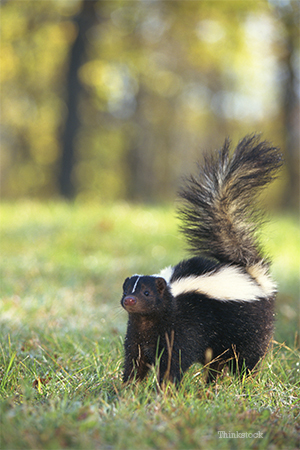 Primarily spread through the bite of infected animals such as foxes, raccoons, bats, and skunks, rabies is a zoonotic infection that can affect all mammals, meaning it can be transmitted to humans. Rabies can cause several symptoms, but there are some telltale signs. Early stages may merely cause mild abnormalities with the central nervous system, such as weakness and loss of coordination. This can last up to three days before progressing rather rapidly to the severe symptoms many are familiar with, ranging from paralysis to extreme behavior swings. If you think your pet may have been bitten or scratched by a potentially rabid animal, it’s crucial to contact your veterinarian immediately! Your pet must be quarantined to prevent the spread of the disease, and the amount of quarantine time depends on several factors, including state and local regulations, whether or not your pet was vaccinated against rabies, and/or whether or not the animal your pet encountered is a confirmed rabies case. It is important to keep in mind that there are no blood tests that can be performed by a veterinarian to test for rabies. Testing must be done post-mortem (after death) to verify a rabies case, and this testing is performed in a state-authorized laboratory. Any confirmed cases of rabies should be reported to your state health department. Sadly, there’s no treatment for rabies. It is always fatal in an unvaccinated animal, which is why it is very important for pets to stay current on their rabies vaccinations through regular booster shots. Rabies protocols vary from state to state; some states require pets to have rabies shots each year while others do not. To learn more about your state’s laws concerning rabies, talk with your veterinarian or contact state officials in your home state. Always follow the recommendations of your veterinarian, and when you have your pet vaccinated, keep your vaccination record handy for proof of vaccination. If your pet were to be bitten by another animal, or if your pet bites another animal, this can save your pet’s life. If your pet comes into contact with a potentially rabid animal, be careful! Because you and others are in danger, it’s important to avoid contact with your pet’s saliva. Immediately disinfect any areas your pet may have come in contact with using a bleach solution. If you have been bitten or scratched yourself, contact your physician immediately. To learn more about rabies, visit the Center for Disease Control at http://www.cdc.gov/rabies/pets/index.html.